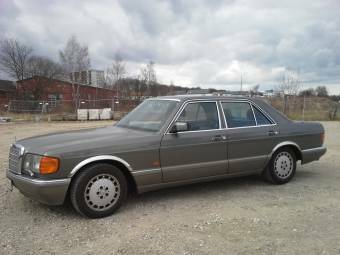 Seltenheitswert: W126 in neuwagenähnlichem Zustand aus 1. Hand! 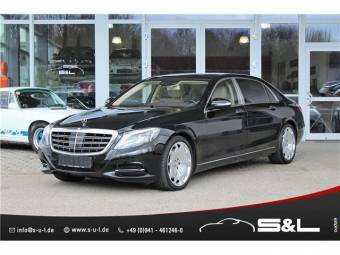 The Mercedes-Benz S-Class is the flagship of the German car manufacturer Mercedes-Benz, a branch of the German company Daimler AG. 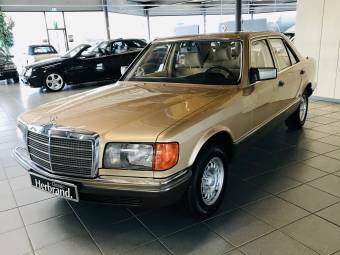 The S-Class was introduced in 1972 as a series of luxury vehicles, the all new W116 S-Class was a replacement of earlier luxury Mercedes-Benz models dating back to the 1950s. 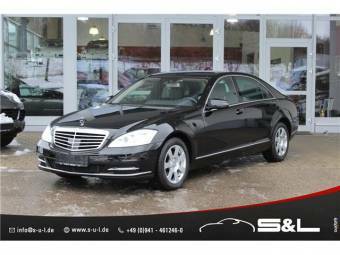 S-Class is an Anglicism of the German S-Klasse, an acronym of Sonderklasse, which translates as Special Class. 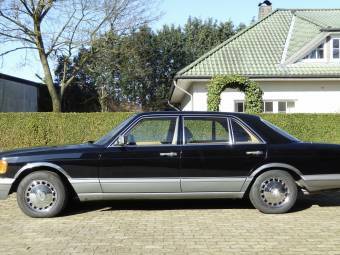 The Mercedes-Benz S-Class is considered to be the world's best-selling luxury saloon car. Still in production today, the latest generation of this iconic range of luxury vehicles was released in 2013. 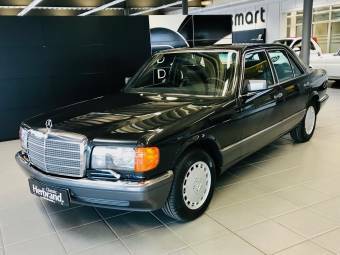 The origins of Mercedes-Benz date back to the late 19th and early 20th centuries when Karl Benz produced the first internal combustion powered car, the Benz Patent Motorwagen in January 1886, and the motorisation of a stagecoach by Gottlieb Daimler and Wilhelm Maybach in the same year. In 1926 the first Mercedes-Benz vehicles were produced following the merger of Karl Benz's and Gottlieb Daimler's companies into the Daimler-Benz company. The first generations of the S-Class were produced at the Sindelfingen plant, founded in 1915. 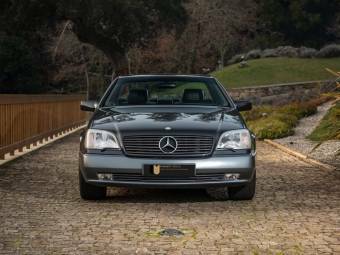 Some previous S-Class models were built in different locations around the world ranging from Germany to Mexico and South Africa, this has helped Mercedes-Benz cater for different markets. Recent models are produced mainly in Sindelfingen, Germany and Santiago Tianguistenco, Mexico. Over the last forty years some 2.7 million S-Class vehicles have been produced. 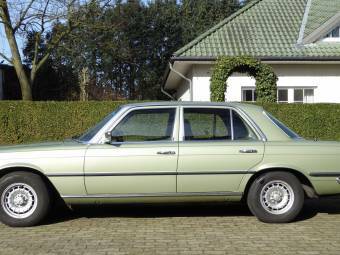 Since its release in 1972 six distinct generations of the Mercedes-Benz S-Class have been produced. 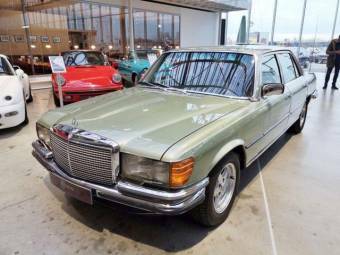 The origins of the S-Class can be traced back to its 1950s predecessors such as the 1954 W180 “Ponton”, the 1959 W111 “Fintail” and the 1965 W108. 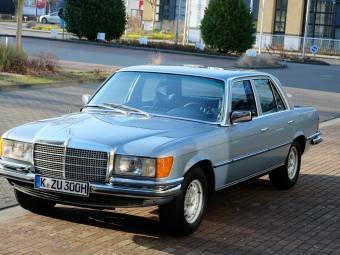 The first generation S-Class, the Mercedes-Benz W116 was produced from 1972-1980 with engine sizes ranging from 2.8 L straight-six to 6.9 L V8 and a 3.0 L I5 turbo diesel with both automatic and manual transmissions. 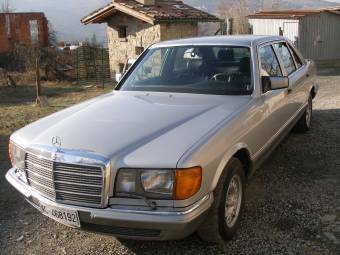 The second generation S—Class were produced from 1979-1992 with engine sizes ranging from 2.6 L straight-six to 5.6 L V8 and 3.0 L 5-cylinder turbo diesel to 3.5 L 6-cylinder turbo diesel with 4-speed automatic or 5-speed manual. 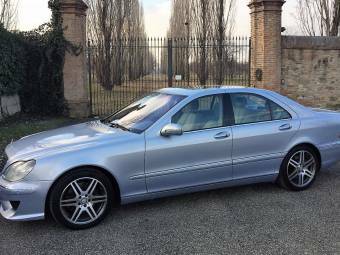 In 1991, the third generation S-Class, the W140 series replaced the W126 line. 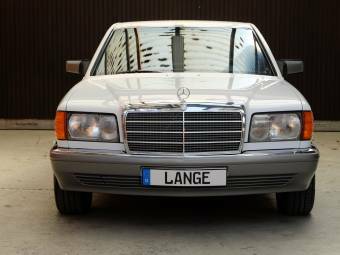 The release of the W140 gave the customer a choice of two wheelbase lengths and also included the short wheelbase W140 coupé. 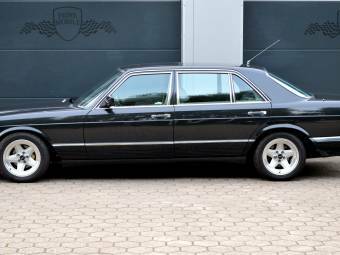 Several special S-Class versions have been produced such as the ultra-luxury Maybach limousine, a range of armoured vehicles; the S-Guard model and the S600 Pullman Guard. 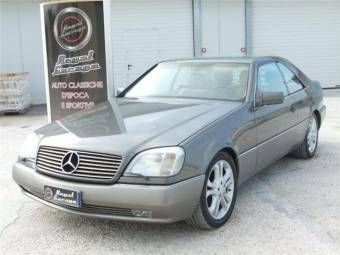 A variety of high performance models are available, some are from the Mercedes-Benz in house tuning company AMG as well as other companies including Brabus.